I spent 9 months obsessively researching brands, looking at registry check-lists, and reading reviews for what felt like every single baby item on the market. 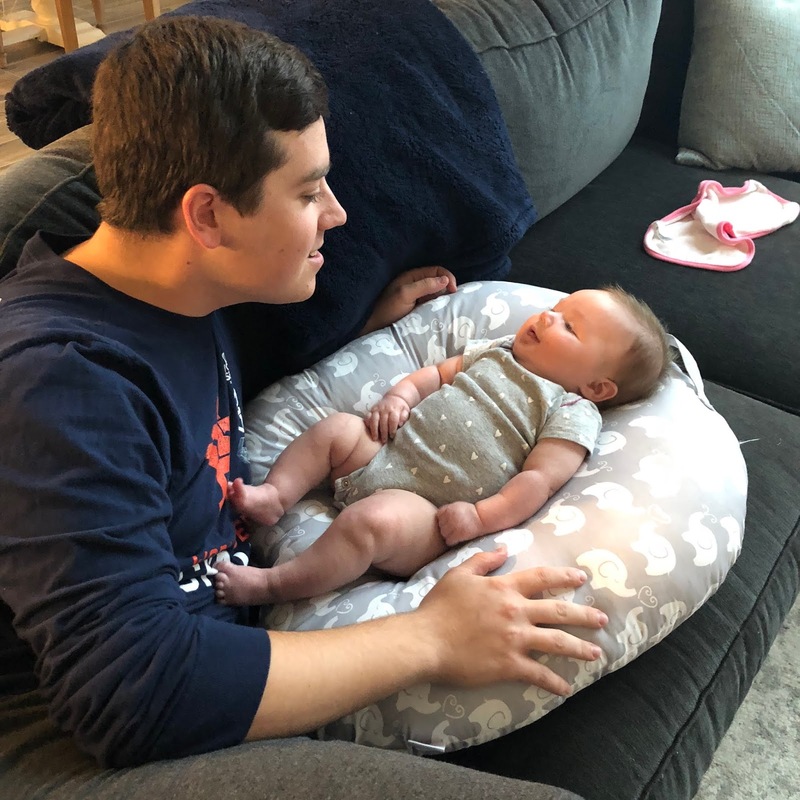 Scouring the internet was all I could do until Reese was born, and I wanted to feel 100% ready for her arrival. After having this brand new tiny babe home for just a few days, Matt and I were already laughing at some of the things I insisted we needed. Looking back at those early weeks, these are our tried and true items. 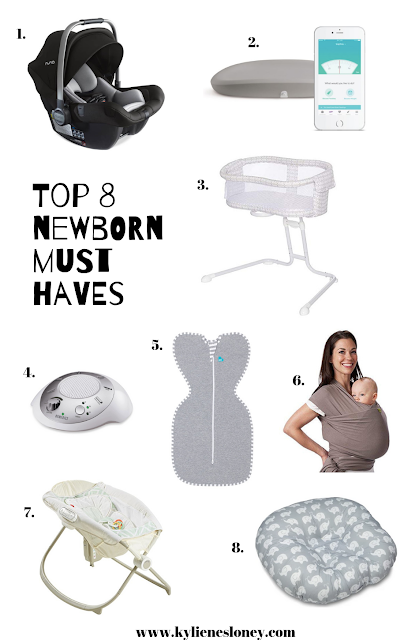 These are the things I will pack with care and bring out for baby #2. These are the must haves I would recommend to any mama to be. 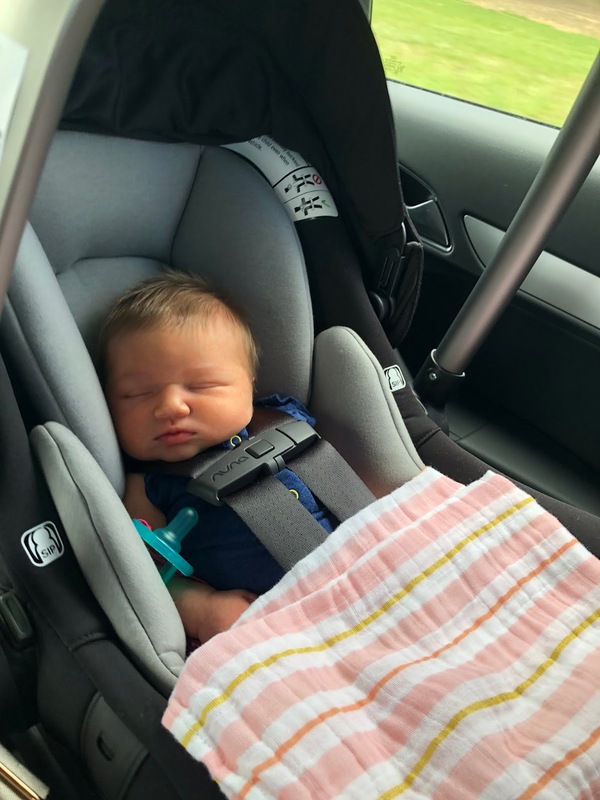 This carseat is 5.7 lbs. THAT'S ALL! I knew I wanted something I could confidently and easily carry around by myself, and this fit the bill. By far the best feature of this seat is the dream drape that unzips right out of the canopy - no hassling with car seat covers or blankets to cover your baby while you're out and about. I knew right away I wanted a changing pad that I could wipe down easily instead of messing with changing pad covers. The Hatch Baby Grow is the BEST! Not only is it so easy to clean, but it's also a scale! Since it's 2018, of course it hooks up to an app on your phone. 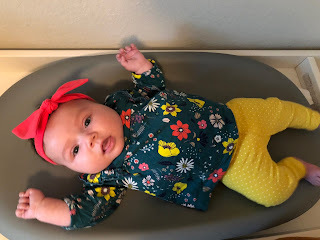 The stress of, "Is my baby eating enough? Is she gaining weight?" is taken away with this changing pad. I've weighed Reese before going to the pediatrician, and the weights differ by only an ounce or two. You bring this brand new human home from the hospital where you're surrounded by doctors and nurses 24/7, and all of a sudden it's just you and your husband responsible for this little life. So much pressure. So much anxiety. 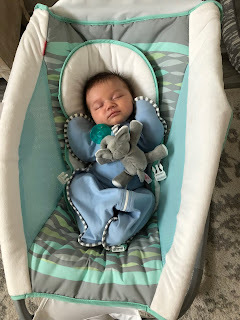 I LOVED this bassinet because its base slid right under my side of the bed, and I was able to adjust the height so it was in line with me while I was lying down. Without moving, I could rest my hand on Reese's chest and feel her little body breathing steadily at any time during the night. The mesh sides were great too, not just for her safety, but for my peace of mind as I could always see her. This sound machine is inexpensive, portable, and the perfect volume. I always questioned why parents played white noise for their babies, but I totally ate my words when Reese was a week old. Game changer! I'm sure other moms can relate - we tried so. many. swaddles. 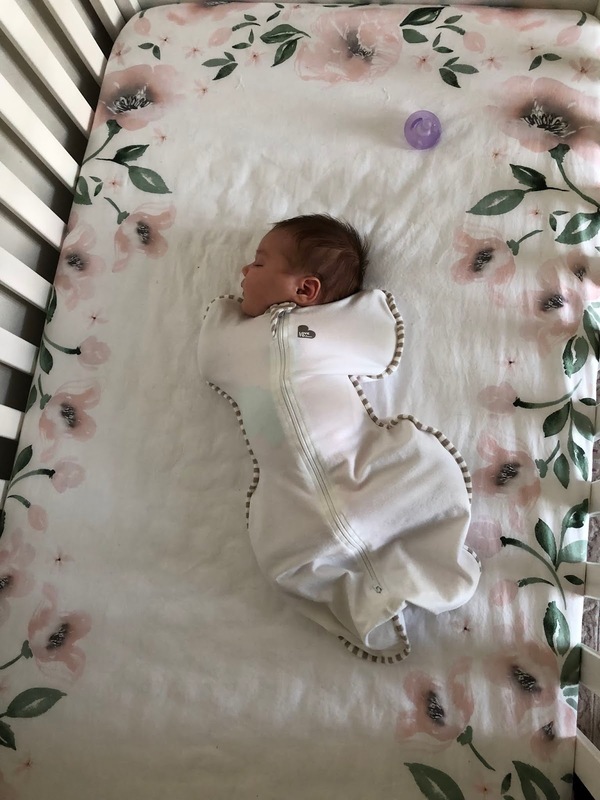 When we broke out the Love to Dream swaddle, Reese fell asleep so easily. She loved having her hands up by her face, and we used this for every nap and nighttime for the first ten weeks. 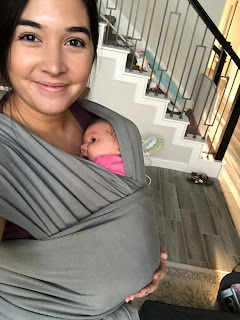 Nothing makes me realize how big Reese has gotten already than trying to put her back into our Boba wrap. This is a true kangaroo feeling, and it gave me all the feels every time! Nestling her tiny body to my chest calmed her down immediately, and I was able to be hands free around the house. The Rock 'n Play was a staple in our house for Reese's first 12 weeks of life. We used it everyday multiple times a day - definitely got our money's worth! It was such a great safe place where we could put her down in the living room, and she took many naps in this thing. 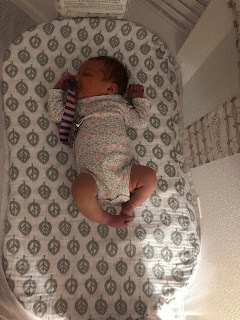 The Rock 'n Play wasn't Plan A for nighttime sleep, but if Reese was having trouble going back down in her bassinet or crib at 3:00am, we would put her in here. Between the slight incline, rocking motion, and sounds, she would be asleep in minutes. With the smart connect feature, you can control all the settings from your phone! Preparing for your newborn baby is THE most exciting and heart-filling thing you can do when you're pregnant. Why? Because shopping for your child is way more fun than shopping for yourself.